What weapons have been effective against Force-users? I like Star Wars, and I've always wondered what weapons would be good against a Force-user. What weapons have been used effectively to combat Jedi, Sith, or other Force-wielding opponents? Usually, the tactics matter more than the weapons. Don't forget that non-sensitives fighting trained Force sensitives is like a hero mowing through an army of grunts - don't go for brute force if you want to live. Find some special advantage. That said, there are weapons that contribute tactical value to improving the odds of victory. Non-energy weapons that are difficult, if not impossible, to block or at least deflect back towards you. This includes, for example, a flamethrower like that used by Jango Fett's, or slugthrowers like the Wookiee Bowcaster or the Golan Flechette Launcher (a shotgun). Other tactically effective weapons include chain/machine guns, or special rounds such as incendiaries or explosives. The idea here is to overwhelm the Force user with attacks that can bypass the lightsaber, disrupting the Force user's own attacks to take cover, allowing you to protect yourself from attack and utilise other tactics. Heavy blaster weapons, such as heavy turrets, cannons etc. Blaster fire that is too strong to block or deflect. Like with non-blaster weapons, this forces the Force user into retreat to take cover, handing you the initiative. If you believe yourself skilled enough, lightsaber resistant melee weapons are a good match. Cortosis-coated weapons (and armour) are difficult to cut. General Grievous' Magnaguards are known to use electrostaffs that are made of resistant phrik alloys. Force users are guided by the Force in their attacks, however, so you better have other tricks up your sleeve and be VERY good at Jedi hunting to make up for it. In general, overwhelming with quantity is the trick when it comes to ranged firing. A single straight blade can only block so much, so the more projectiles you can fire, the more you surround the Jedi, the more they can get past the blade, the greater the odds of success. That's how the 501st won even though they used mostly blasters. Also with Jedi you don't need to worry too much about Force attacks - Jedi generally seek to only disable you. In general, you'll survive even if you lose. Sith are a different threat altogether. They are much more aggressive, and they will liberally employ Force powers to supplement their killing. In general, the same weapon recommendations and tactics apply but the stakes are much higher. Don't expect to succeed without casualties. a vial of senflax; a neurotoxin extracted from a rare plant found only on the planet Cadannia. Although Caleb had used it as a sedative, Serra explained to the Huntress that senflax's potency would allow her to maintain Bane's imprisonment. The Huntress knew that her prey would sense something amiss upon his return and planned to attempt to subdue him in the mansion's vestibule. On her command, sonic detonators were installed on either side of the entrance, while a pair mercenaries took up positions on the balcony with their stun rifles trained on the foyer. She dismissed the idea of using both force pikes and carbonite guns to take him down, as both required close-quarters combat to be wielded effectively. Jedder questioned the efficiency of the tangle guns within their arsenal, but the Huntress made it clear that the projectiles they discharged were only supposed to slow Bane down long enough for her to move in and administer the senflax poison. Once her part had been completed, the mercenaries were supposed to then overwhelm him with their attacks until which time the senflax began to take effect. Although she was only capturing Bane, it is essentially the same as an attempt to kill him: Close range combat is too dangerous, and indeed ranged weapons are ineffective too. The key is to slow him down, disable and distract him long enough to poison him and, once weakened adequately, the opportunity will finally present itself to go in for the kill. Special mentions to the lightwhip. It is a lightsaber-like weapon but instead of a straight blade, it is a whip. It is good for spanking Force users. In general, they are difficult to use and do little damage, but are extremely effective against lightsaber-wielders because of its rarity - and thus a general lack of experience in fighting against them among Force users - and ease of bypassing a lightsaber block. I omit untrained Force sensitives because they don't actively use the Force - displays of usage usually only occur on reflex when they are driven to moments of extreme emotion. In routine life, they don't know how to use the Force. It tends to passively heighten their senses and improve their physical abilities, but that is no different from a genetically improved clone trooper. In that sense, an untrained Force sensitive is no different from an above-average non-sensitive. The most important thing to note is that the effectiveness of a weapon will depend greatly on the strength and skill of the Force user it is being used against, as well as the skill of the person using it. For example, early in her training, Ahsoka Tano was unable to entirely deflect blaster shots from the bounty hunter Aurra Sing. On the other hand, Jedi Masters were able to deflect fire from dozens of battle droids simultaneously. There is an enormous gulf between, say Ezra Bridger and Darth Sidious. That said, a number of weapons have proved reasonably effective against Force users. While perhaps the least effective weapon that can reasonably be used against a Force user, nonetheless blasters can still be useful. 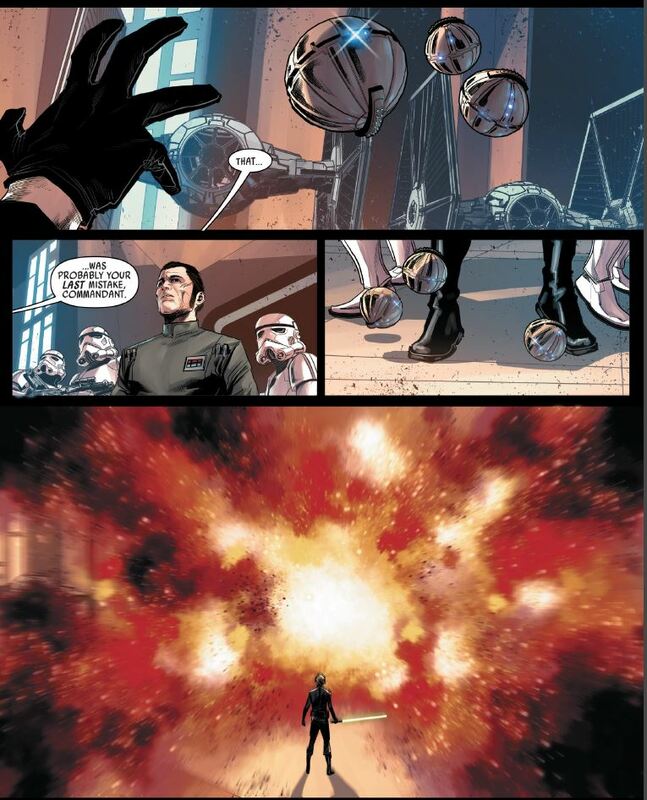 As mentioned previously, Ahsoka was injured by blaster fire, and many Jedi were shot down by blaster fire from their clone troopers in the wake of Order 66. Against a untrained Force user, one caught be surprise, or in overwhelming amounts, blaster fire can kill a Force user. That said, while it has, on occasion, been shown to be effective against Force users, it is also both largely ineffective and frankly dangerous (since a moderately skilled Force user can easily turn a blaster bolt back on the one who fire it). Generally speaking, any weapon that can deflect a lightsaber is a good candidate for use against a Force-user, since such weapons are quite popular among those who use the Force. The riot control batons used by certain stormtroopers of the First Order could withstand a lightsaber, making them potentially useful against Jedi. A stormtrooper employed one against Finn in The Force Awakens. The instructors demonstrated the use of each weapon, the vibro-axes and shock staffs and force pikes and resonator maces, elaborating at length on the respective strengths and weaknesses of each and when and how to employ them to best effect. They explained the composite alloys used to make the weapons, how some of the equipment was strong enough to block even a lightsaber. FN-2187 wondered about that—not whether it was true but whether or not they would ever be expected to fight someone who used a lightsaber. According to the First Order, the Jedi were extinct. Similarly to the First Order riot control batons, these weapons could deflect lightsabers. They were used by General Grievous’s guards, among others. 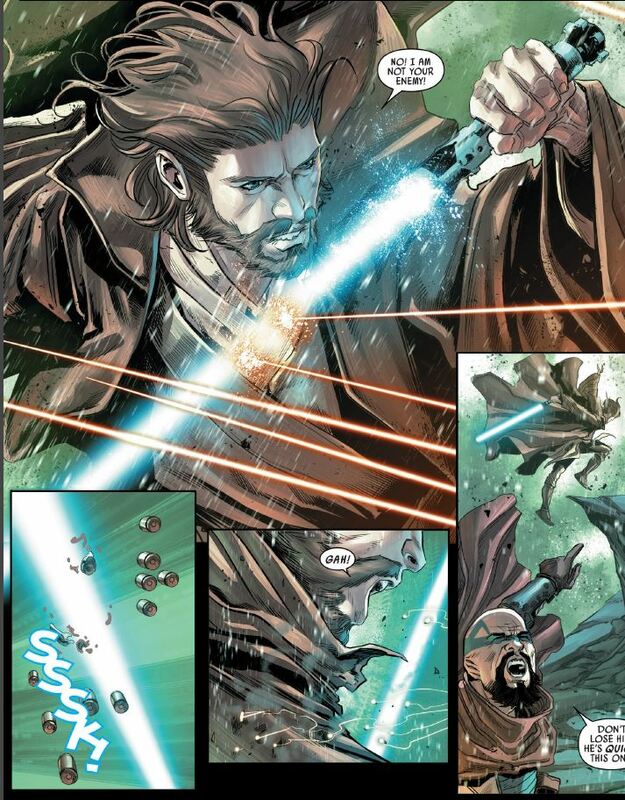 Though difficult to wield for non-Force users, in at least one instance lightsabers were used quite effectively by a non-Force user. General Grievous was able to acquit himself quite well against a number of Jedi in lightsaber combat. Of course, without his numerous mechanical enhancements, most ordinary people would fare significantly worse. Further, while this may be stretching the definition of “weapon” a bit, biological weapons have proved effective against Force users. The Blue Shadow Virus, for example, was able to infect Ahsoka Tano, and its creator believed it could kill Jedi in general. One thing should be reiterated, though: Few (targeted) weapons are really effective against a Force user. Some weapons are a lot more effective than others (as mentioned here), but none are truly effective compared to their effectiveness on non-Force users (we can make an exception here for superweapons like the Death Star laser, which kill everyone in a large area, Jedi or otherwise). The Force gives those who use it enhanced strength, speed, and agility, and allows them to anticipate attacks. Further, Force pushes can deflect projectiles. Overwhelmingly superior firepower is the best bet that non-Force users have, and even that is no guarantee. The best weapon against the Force is the Force. In Legends, all the previous categories of weapons have been shown to be effective. There are also various other weapons. 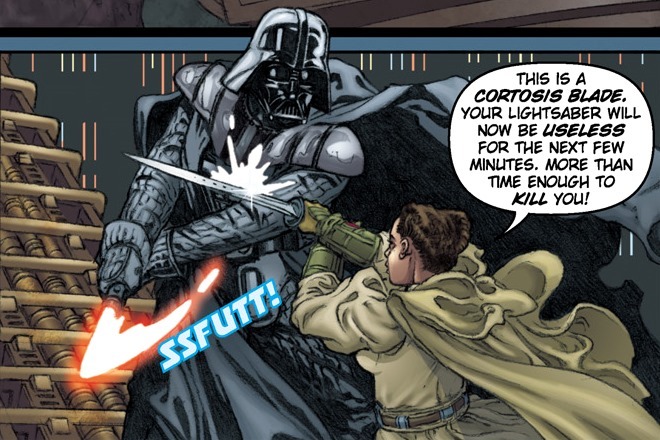 For example, cortosis weapons have been shown to be effective against lightsabers. The usefulness of kinetic weapons has also been elaborated on. Also, any weapon that covers a large area and can be neither dodged nor deflected is pretty useful. Finally, it’s worth noting that brute force works too (more so than in canon), since Jango Fett killed about six Jedi with his bare hands. Thankfully, this isn’t canon anymore. If you want to kill or capture a Jedi then be smart about it. Find Ysalamir and place them around the kill/capture zone. Then restrict movement by making a Jedi going trhough a tunnel or a cave. At the end have a trap made out of a force cage. The End. The answer to this question could lie in a variety of different weapons. Anything from a Spear to a Blaster to a Lighsaber could be used effectively in combat against a force user. The effectiveness of a weapon lies not in the weapon but in the training of the attacker. To use the popular clique; Guns don't kill people, people kill people. We see several people fight off force users. Mandolorians are especially good at this. They are specially trained to kill Jedi and can probably do it with most anything. However if you want a definitive list of weapons that are most effective then I will give you my top ten. The ones that are the most effective are the ones that cover a large area and are hard to block. If game references are accepted, in Knights of the Old Republic 2, Atton Rand used to play Pazaak (a in-universe card game) in his mind constantly. This was used to avoid force users to "get into" his mind, something that allegedly they did while in battle. What is this First Order weapon that can block a lightsaber? Do the Jedi deal with non-Force users? Do spaceship weapons in Star Wars have a maximum range? What happens to Force users that are denied training by the Jedi? What did Kylo Ren use to ‘drive’ his Force activity? Are there any Force users that are “lower life forms”? Why were force-sensitives never regulated by the galaxy at large? Why do Jedi Force Ghosts let bad guys win if they have this superpower? What happens if both Sith master and apprentice accidentally kill each other under the rule of two?